When raising a toddler, you have to remember that they are exploring the world around them. And more importantly, they can understand way more than they can communicate. My son will be two next month and some days are a lot more frustrating than others. 2. He’s going to annoy you just as much as you annoyed your mom. 3. He’s just trying to communicate with you. The second point is something that always takes me back to my childhood. I remember how frustrated my parents would get with us when we did something that was wrong and how they would react. My mom yelled a lot. Now I yell a lot at my son. I try my best not too because I wouldn’t want him to think it’s okay to be yelled at, so I often try to calm down and talk to him. Grocery shopping is very interesting with a toddler. My little guy tries to help with putting the groceries in the shopping cart and pushing it around the store. It’s cute, but when he doesn’t get his way, it’s a meltdown. So what do I do when he has a meltdown? Some parents would probably smack their child. While others might yell back at their kids. I’ve even heard of parents who throw a tantrum themselves — that’s pretty funny. Whenever my little guy throws a fit for whatever reason I simply stop the cart — if he’s in it, if he’s pushing it I sit him in it — tell him to calm down and explain to him why he can’t have/do whatever it is he’s crying about, and lastly, I tell him we’re going to finish up soon and behave. We high-five to that and that’s how we seal the deal. I don’t know how I came up with this, but I tried it once at the store, and he’s learned to associate sealing the deal with keeping calm. I’m not complaining. I will admit that this doesn’t always work. If he’s tired, I can do it and he’ll only remain calm for another 10-15 minutes. After that, it’s a mess. But as a parent, you pick up on your child’s habits. Good or bad. For some people, having a child is out of the question. And honestly, I understand. Not everyone is ready to make the commitment, nor are they willing to make the sacrifices. I respect everyone’s decision whether it is to have no children, one child or multiples — it’s really up to them, no us to judge their decision. Before Sebastian was born, I dreamed of having two children. After Sebastian’s birth, I thought long and hard and said no to a second. I even wrote about it in this post over here. But then in January 2015, Jeff and I discussed going for a second child. We both knew it would be expensive, but we’ve always known in our hearts that two children would be the ideal number for us. So, February came and we conceived a beautiful baby boy and are awaiting his arrival this November. Excited as we may be, I’m a little nervous because this time around I won’t have my family or friends around to help/keep me company. I wrote about these emotions in a recent post. You can read all about it over here. For moments like this — when you could only hope for the best — you have to think of all the wonderful possibilities. Although my family and friends won’t be near, they’re always in my heart and thoughts. I may miss them, but it’s okay, I know I’ll eventually see them again. Plus, I’m not entirely alone. Both Jeff and Sebastian are very helpful and are excited to meet our new addition. I just can’t believe I’m going to go through all the emotions again. It’s such a wonderful feeling. And yes, breathing will be a huge part of raising these boys. 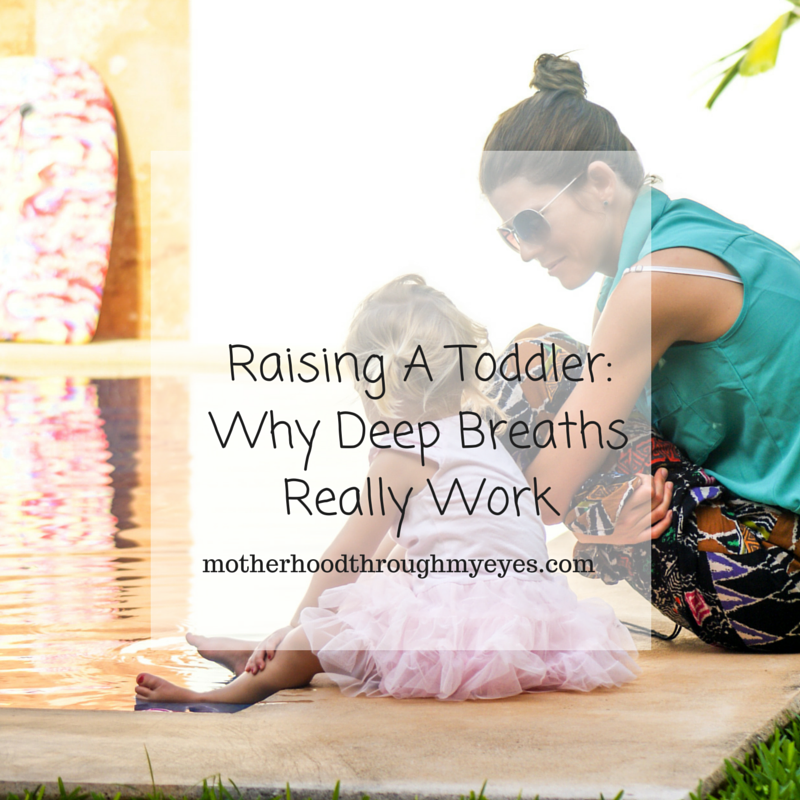 How do you deal with toddler tantrums? My nephew is similar to your son! When he doesn't get his way, all hell breaks loose! But, my sister has introduced the "marble" jar. So, every time he listens, or eats with his own two hands, he gets a marble! And, when the marble jar is full, he gets to pick out a toy from the store! Brilliant!!! I love your "high five" deal with your child! It's definitely a way to put their mind on something other than having a tantrum! I am going to be an aunt again to another nephew come October! And, I can't wait until I can hold the little guy in my arms, and rock him to sleep! All of the first smiles, roll-overs, and steps he's going to take just warms my heart! And, to see how my first nephew feels about having a little brother!! Thank you for this tips, i don't have kids yet, but I'm sure this is going to help me a lot in the future! I got to witness the "marble system" at my sister's house the other day! When my nephew does something without asking…like picking up his toys…or feeding himself…he gets a marble! The marble goes into a glass jar. When the jar is full, he gets to pick out a toy from the store! He loves it!!! Well, I saw the "marble" system in play for myself this week! My nephew helped put his toys away, without asking. And ate his dinner, without being fed by mommy. The system works!!! I love the idea of the marble system 🙂 I wish I had heard of it when mine were little. I love the "high-five" system, for changing a child's tune from tantrum to a positive experience! My nephew also does a version of this…using the "fist-bump" as a good job technique!! !